'As the director of Barton Farm, a living history museum in Ohio, Kelsey Cambridge is underpaid and under-appreciated, but she loves every minute of it. Determined to keep the struggling Farm open, she plans to impress the museum's wealthy benefactress, Cynthia Cherry, with a four-day Civil War reenactment on the Farm's grounds, complete with North and South encampments, full-scale battles, and an Abraham Lincoln lookalike spouting the Gettysburg Address to anyone who will listen. Unfortunately, the first shot in the battle isn't from a period rifle but from Cynthia's greedy nephew, Maxwell, who plans to close the Farm when he inherits his ill aunt's wealth. History is sort of my thing. I love history and love to read books that feature history in them. I have read a couple of Amanda Flower's books in the past and I learned that she was writing a new mystery featuring history, well I wanted to read it. Kelsey Cambridge is the director of Barton Farm, which is a farm in Ohio that is a living history museum. Kelsey has just planned a Civil War reenactment on the farm's lands and is stunned when her benefactress' nephew turns up dead right in the middle of it. Of course, having a fight with him the night before, doesn't do such good things for Kelsey's image as she is now the number one suspect. Of course, with a slew of reenactors and visitors alike, Kelsey has a murder investigation on her hands and no lack of suspects. Who had means, opportunity and motive to want Maxwell dead? It's up to Kelsey to find out before she ends up in jail for a murder she didn't commit. I adored the setting of this book. I would love to be able to have a place like this nearby so that I could visit. The author did a fantastic job of creating a scene that sucked me right in. However, the mystery was a little obvious and it was easy for me to figure out the murderer. I enjoyed this book somewhat, but would have liked to have seen a little more complex of a mystery. If I can figure it out before the conclusions, well that means I am going to be disappointed. I typically love this author's works, but this one was just okay for me. I think I was expecting so much more and was a little upset that I didn't really get what I was expecting. Not a bad debut overall, just needed a little more plot and suspense to make me fall in love with it. Hoping the next one is better and a little more engaging. Amanda Flower, a three-time Agatha Award-nominated mystery author, started her writing career in elementary schools when she read a story she wrote to her sixth grade class and had the class in stitches with her description of being stuck on the top of a Ferris whee;. She knew at that moment she'd found her calling of making people laugh with her words. She also writes mysteries as national bestselling author Isabella Alan. 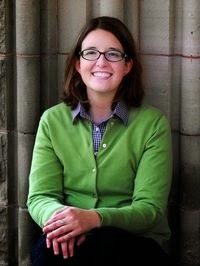 In addition to being an author, Amanda is an academic librarian for a small college near Cleveland. This has been a stop on The Final Reveille blog tour hosted by Great Escape Virtual Book Tours. Make sure that you stop by all the stops as well. 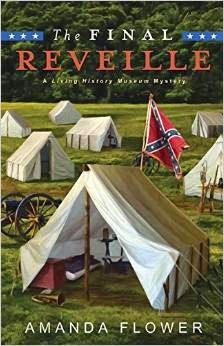 The author is giving away one copy of The Final Reveille, one paperback copy of one of her Isabella Alan mysteries, and an Ohio country gift. Good luck!